You’re on an alien spaceship orbiting the planet Newcomb. Don’t worry—the air is perfectly breathable. They’ve even got magazines in the waiting room. 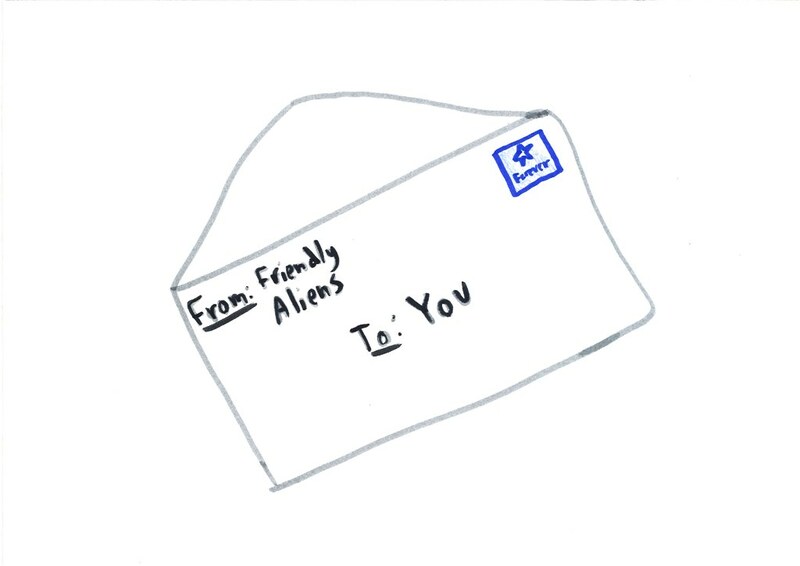 As part of their research into human behavior, the aliens have placed two boxes in front of you: a transparent box containing $1000, and an opaque box, whose contents remain a mystery. 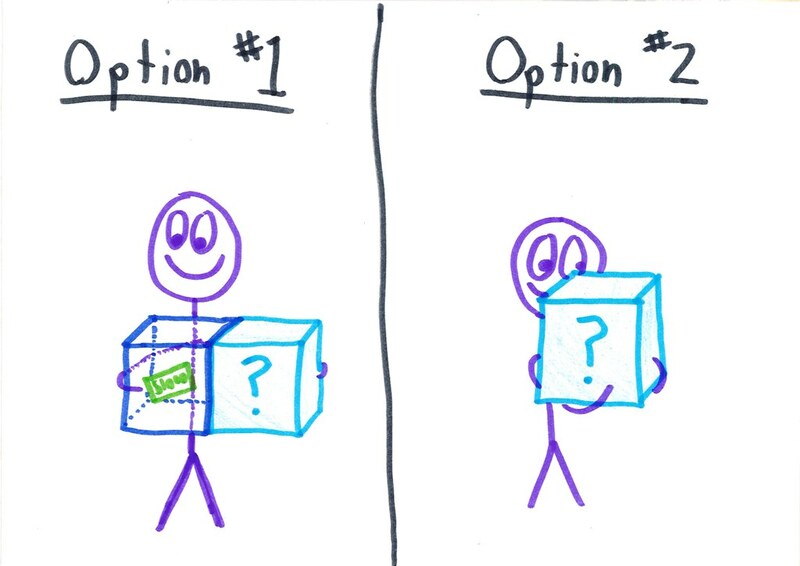 You’re allowed two options: take both boxes, or take just the opaque box. It seems obvious. You’d be crazy to leave the guaranteed $1000 behind, right? We made a prediction about your behavior. We won’t tell you what we predicted, but we will tell you that in this experiment, we fill the opaque box based on our prediction for each human. If we predict the human will take only the opaque box, we put $1 million inside (to reward the human’s restraint). But if we predict that the human will take both boxes, then we leave the opaque box empty (to punish the human’s greed). We made your prediction earlier today, placed the correct amount in the opaque box, and sealed it. The choice is now yours. Will you take both boxes, or will you take only the opaque? 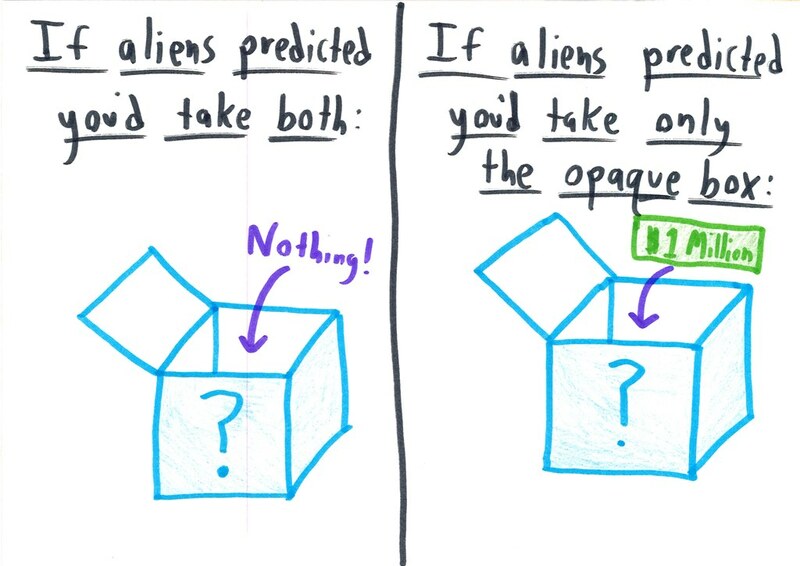 The classic answer to this question—from mathematicians, economists, and other rational-minded folks—is to take both boxes. After all, your actions now cannot affect what the aliens have already done. 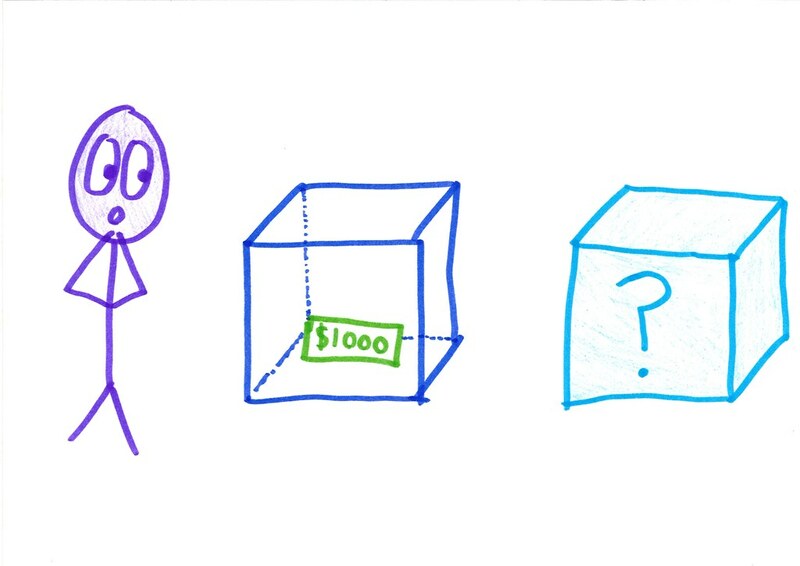 No matter what’s in the opaque box, you’ll be $1000 better off if you take the transparent box, too. So you might as well take it. Such alien game-show scenarios are admittedly hypothetical. (Though if you’re observing me, aliens, I’m sorry I called you hypothetical.) Even so, we often encounter systems and situations in life that are nearly as foreign to our experience and intuition. Sometimes, we respond to these bizarre or unfamiliar scenarios with the greedy profit-maximizing approach of an economist or a Ferengi from Star Trek. But these are precisely the situations where a little caution and humility go a long way. Given a morsel of information, we often try to scheme and optimize. We rarely consider the 4000 facts that we don’t have. To quote the satiric film In the Loop: “In the land of truth, the man with one fact is king.” We ought to stop—or at least take a brief pause—to consider the multitude of things we don’t know, and the distinct possibility that our entire framework is wrongheaded. I say leave the transparent box. Will you really regret leaving $1000 on the table, when you’ve got $1 million to play around with? Next Post The Math Ceiling: Where’s your cognitive breaking point? Thanks to the author for sharing yet another great blog and thanks for this comment with the quote. This quote adds a necessary dimension when describing my dissatisfaction with trying to teach students in an era of standards and high-stakes standardized testing. Bit of Bayesian statistics needed here ! There are, I’m pretty sure, models of rationality which one-box on Newcomb. I don’t know the details, though obviously they leave causal decision theory behind. http://lesswrong.com/lw/nc/newcombs_problem_and_regret_of_rationality/ has interesting notes. – It doesn’t necessarily follow that because an experiment was repeated many times, the outcome becomes predictable to such a degree (fliiping a coin for example). Without data to substantiate this claim, the participant is no better informed (if not misinformed) of the alien’s ability to predict the outcome. “your actions now cannot affect what the aliens have already done.” – True. – This would be anything but humble – more like credulous. The best way to “respect” our lack of understanding (ignorance) about something is to say “I don’t know” and adjust beliefs (or lack thereof) accordingly, and make decisions with the best information we DO have….and take both boxes. In the end it’s just a silly game that CLAIMS to reward people for their credulity, making it somewhat contemptible. In any case, I don’t buy the orthodox view that it’s rationally optimal to take both boxes. A fairly simple piece of probabilistic reasoning is all it takes to see why that’s wrong. We have prizes k, M; the opaque box contains 0 if they expect you to take it, M if they don’t. Suppose their ability to predict your choice has probability p of being correct. If you take both boxes: if they predicted that, you get k, else you get k+M; so your expected winnings are: p.k +(1-p). (k+M) = k +(1-p).M. If you take only the opaque box: if they predicted that, you get M, else you get 0, so your expected winnings are p.M. Taking both wins if k +(1-p).M > p.M, i.e. if p < (1 +k/M)/2. For the puzzle as given, that's if p < .5005; as long as M is much bigger than k, the threshold is close above a half. So, if you think their ability to anticipate your choice is appreciably better than a coin-toss, even if only by k parts in M, then taking the opaque box is a winning strategy. You might think: that means, assuming they know you've read this, that you're sure to follow the winning strategy and take only the opaque box; so you can be sure there's a M prise in it; but taking the k prize as well can't hurt, surely ? However, if they're capable of distinguishing those who think that way from those of us happy to leave k as long as we're getting M (and to prove them wrong if they misjudged us), even if that capability is only marginally more reliable than a coin toss, then it's best to ignore that train of thought. Is this supposed to be an April Fools post? It seems like an important question to me. Have you read Hofstadter’s chapter on the prisoner’s dilemma in Metamagical Themas? Taking one box *strongly dominates* taking two: whatever the actual state of the world, you are better off taking one box than taking two. In general, for any two options A and B, if A strongly dominates B, it is rational to take A. Maybe the aliens are good at predicting because they have time travel, or because you’re actually a simulation they’ve devised. In these cases, by just taking the opaque box you guarantee that your “real” self will be able to reap the benefits of your restraint. Why should I believe the note is truthful? 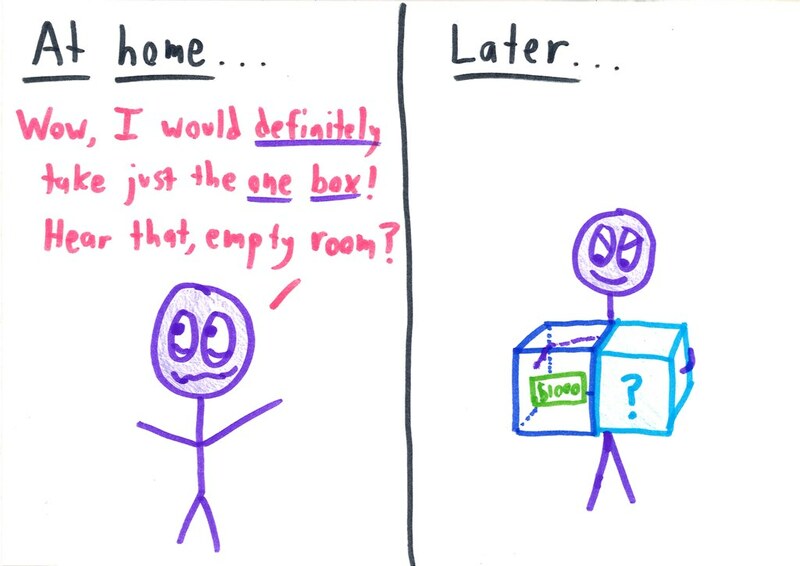 If you take the problem to be one of “commitment” — committing to only taking one box in advance — then the problem might be considered part of the problem of commitment more generally. In these problems, you are better off if you can commit to doing x, but you know that you’ll have good reasons not to do x when the time comes to do x, and therefore you have a problem with committing to doing x; it may be impossible to be fully rational, in some sense of the term, and to so-commit. I think the theoretical answer is wrong. Assuming the aliens are perfectly intelligent, then they will guess what I do correctly. So if I choose both, that will be what they predicted, and I’ll have 1000. If I choose just the opaque box, that too was predicted, and I get 1e6. Surely the prediction and intelligence makes the choice into one between both (given they knew that) or one (given they knew that). Math teacher wants us to remember all of the formulas for geometry. Teachers wants us to remember all of the formulas for geometry. NOW YOU CAN TRY THIS WHEN YOU HAVE TROUBLE ON THE GEOMETRY TEST BECAUSE OF THE FORMULAS!!! Reblogged this on Brian waka. Best Newcomb explanation ever! Thanks for this post! What good is $1000, you are on an alien spacecraft orbiting some distant planet? What if do not take a box? How good is their prediction then? Unless they’re asking me to you should pick a box to keep, I would prefer none, I wouldn’t like someone else’s property in my possession esp if it’s money that’s not easy to return or for my aspect, keep.